Want to know how powerful Instagram is? It has 800 million monthly active users worldwide and 5 million users in Australia. That makes Instagram an advertising platform that gives you access to 20% of our population. Being Instagram famous is a byword for market dominance, and if your product or service gets to that level, the sky is the limit. 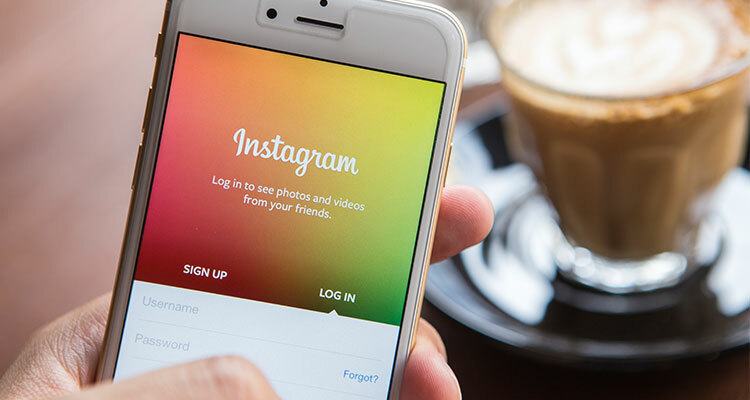 Instagram has a number of benefits as an advertising platform, beyond its reach. It is a relatively new platform, which means it still retains a degree of innocence when it comes to advertising, something which Facebook lost a long time ago. It is also owned by Facebook, which makes it incredibly easy to transfer your campaigns between the platforms, the nature of the platform means that advertisement posts are almost indistinguishable from regular posts and the image based nature of Instagram makes it perfect for today’s image-hungry demographic. When it comes to advertising it’s one of the most powerful platforms available, so let’s learn how to use it! Facebook owns Instagram, so to run an Instagram campaign you’ll need to create a Facebook page. The best way to do this for your business is to visit business.facebook.com and go to Create Account. All you have to do then is, enter your business name, select the Primary Page, type in your work email address and name and work through the rest of the onboarding wizard. To set up your Instagram account, go to the Business Settings tab on the Business Manager page, select Instagram Accounts and check the boxes next to each of the ad accounts that you want to use in your Instagram account. Next, you need to choose your objectives. Reach, Traffic, Brand Awareness, App Installs, Video Views and Conversions are the only objectives that will provide you with an ad that will suit Instagram’s advertising guidelines. Come up with a cool name for your campaign, or if you can’t be bothered just leave it as the default name. Audience selection is vital to your campaign and Instagram makes this easy through their Audience section. This section allows you to target your ads towards specific demographics, such as gender, age, ethnicity, political leanings and even interests. Yep, it’s a bit creepy that Facebook and Instagram know that much about us but everyone else is making the most of it so, why shouldn’t you? If you want your ad to be targeted to people that have already reached out to you, you can create a Custom Audience. You can even create a Lookalike Audience to send your ad out to people on Facebook that are similar to your most useful audiences. You can choose to pay for your Instagram ads per engagement or per impression. You can set a budget for your daily or lifetime spend in the Budget and Schedule section. A daily budget will automatically control your spending throughout the day to ensure it runs continuously, while a lifetime budget will use an algorithm to do the same thing except over the lifetime of your campaign. This section also allows you to schedule your ads. Visit this link for a rundown on average Cost-Per-Click by various countries, ages, genders, months, placements and even days of the week! The Optimize for Ad Delivery section allows you to manually input your optimisation and bid options. Select the format of your ad in the Format section. This allows you to customise the media you’d like to include in your ad. Make sure your selections are in line with design and technical recommendations set out by Instagram. Click here for a rundown of video and photo recommendations, as well as information on the ad mediums you have to choose from. Choose the text, headline and CTA button for your ad. You can customise all of these fields in the Show Advanced Options tab, bearing in mind that customisations will have varying effects depending on the objectives you selected. Previously, Instagram didn’t allow you to link from your ad back to your website. Thankfully, hyperlinks are now supported, so don’t forget to make the journey to your site as easy an enticing as possible! After you’re happy with your inputs, you can review the placement of your ads by clicking Ad Preview. It’s best to run your ads on Instagram and Facebook, but if you’d only like the ad to be placed on Instagram, click Remove on all the other placements. Now all you have to do is click Place Order. Just remember, your ad could potentially be seen by 800 million people, so review your ad very carefully before you go live. The rise of the ‘influencer’ has coincided with the rise of Instagram. Influencers are essentially people with enough followers for companies to engage in partnerships with them. This means they are paid, or given free products or services, to personally endorse what you’re selling. Dealing with influencers used to be a private negotiation, and this is still the case, but Instagram has simplified the process by creating paid partnerships. This makes everything easier for both advertisers and influencers alike, and by engaging in a paid partnership with an influencer, you will also have access to better reporting and insights than you get through a standard sponsored post. Essentially, Instagram has created a conduit for the process, which makes it more efficient and business friendly. If you can find an influencer within your field, you should definitely consider engaging in either a private or paid partnership. Creating your own ads does work, but influencers will increase your reach and give you access to a more easily convertible marketplace. After you’ve uploaded a photo or video, add your caption, hashtags and use all the same effects and filters as per usual. Once that’s done, click on Next. To find the influencer or partner that you want to tag, click on Tag Business Partner. Remember: the partner you want to tag must have a business profile. If they don’t they won’t appear in the results. Click on the name of the partner that you want to tag in your post. You can follow the exact same process when creating Instagram Stories. Just upload your ‘story’ in step one, instead of an image or video. Earlier this year, Instagram launched a brand new feature: Shopping. Through this functionality, you can tag your posts with a maximum of five products per image. Your Instagram business profile must be linked to a Facebook catalogue. You can create this catalogue directly in Facebook, through the Business Manager, or via Shopify or BigCommerce. Provided that your Instagram account complies with the requirements above, your account will then be reviewed for approval. The review process generally takes a couple of days. So, your first campaigns have been broadcast through the amazing channel that is Instagram but was it worth it? Have your campaigns reached your target audiences? Have your audiences responded? Conducting reports on your campaign is as important as setting up the campaign itself. There are two ways to monitor your performance: The Facebook Ads Manager, or your own marketing software. Let’s run through conducting reports via The Ads Manager. The dashboard will provide you with data on cost per result, reach and amount spent at a glance. For more detailed performance metrics, click in the ‘Columns Performance’ button in the upper right-hand corner. You can customise the types of data you want to see and there’s a huge range of options, from Click-Through Rate to ‘Adds to Cart’ if you’re running eCommerce through your ads. For advanced tracking, click on Show Advanced Options before your ad goes live and opt to track conversion through an app event or a Facebook pixel. This will give you valuable insights into how your audience interacts with your business after engaging with your ad. A Facebook pixel is a code you place on your website. This code then tracks conversions so you can use this data to optimise future campaigns. App events are similar, except they can be added to specific products, allowing you to focus on how customers engage with your moisturiser for example. If you notice a particular ad is doing well, you can easily Promote it just by clicking that button underneath the ad. This will ensure your good work is sent out to an even more extensive network of users. You can also select your own goal, whether it’s increasing the number of people that see the ad or driving more traffic towards your website. Not only is Instagram an incredibly easy way to advertise, it is also extremely effective. It’s no longer the domain of teenagers, selfies and sepia-toned shots of beautiful people enjoying beautiful things that no average person could ever afford. It has become a popular method of communication for a variety of demographics. Advertising is all about communicating with your audience, and if you haven’t made Instagram one of your methods of communication, you may just be falling on deaf ears.